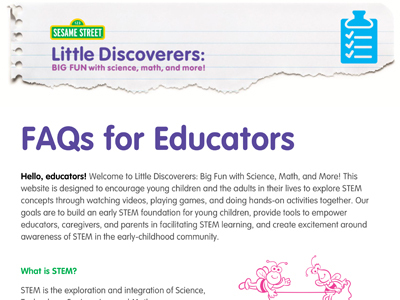 Discover ways to explore explore Science, Technology, Engineering, and Math in the classroom! For help on how to use this site and where to get fun, hands-on activities that you can do in the classroom, download our FAQ page for educators. 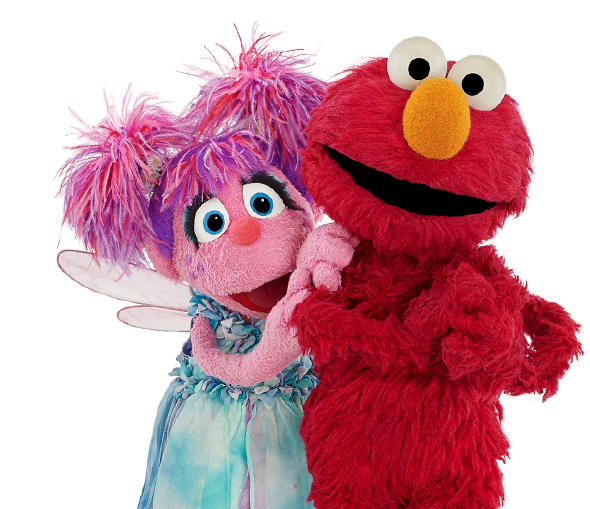 Find out more about how you can explore Science, Technology, Engineering, and Math with your children! 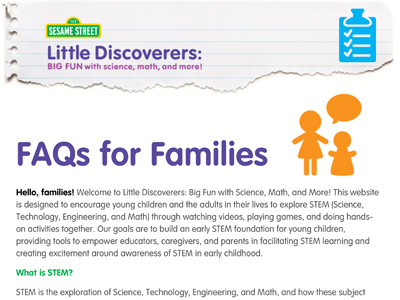 For help on how you can use this site to find videos, tips and activity ideas to help explore STEM with their child during their everyday routines, download our FAQ page for parents.